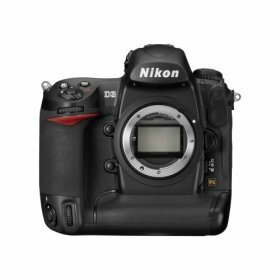 Read all about the 12.1 Megapixel Nikon D3 professional digital SLR, the camera a Nikon executive was overheard by Dave Etchells of Imaging Resource as saying will put Nikon ahead of their sharpest competitor by two years. 31-Jul-2008: Nikon announces a memeory upgrade service for the D3. Pay up £300+VAT in the UK, or $500 plus tax in the USA for the service, and you will be able to shoot 36 14-bit lossless NEF files instead of the current 16. In general terms, there’;s a doubling of the shot buffer. This link has the details. There’s already one very positive user report on the process. The Nikon D3 Journal: Regular updates on the Nikon D3.